Grand Canyon University invites high school & community college students to attend Preview GCU, tour campus and learn about Lope Life! RSVP for free today! 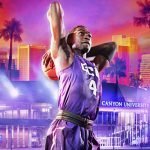 Cheer on GCU Men’s Basketball in the home opener for the 2018-19 season. 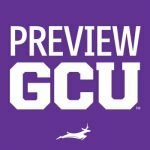 The Lopes take on the Delaware State Hornets Saturday, November 10 at 7 pm in GCU Arena. Get your tickets today!